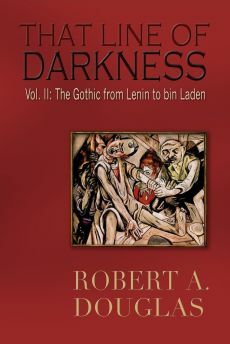 The following selection could not be included in That Line of Darkness: The Gothic from Lenin to bin Laden (Encompass Editions, 2013) for reasons of space. At the Tenth Party Congress in March 1921, in a fit of vindictive anger at the rebellious workers, Lenin proposed a secret resolution banning factions, an ominous move, which prohibited any independent political position within the Bolshevik Party. Given the party’s increasing unpopularity, the delegates probably had no other choice but to vote approval if they wished to retain power. At this Congress, he also requested that delegates agree to replace the requisition policy with a tax in kind on the peasants that would allow them to sell their surplus on the open market. 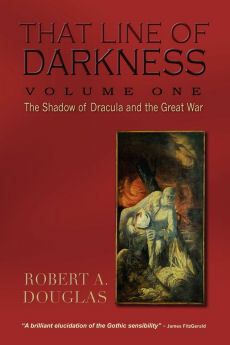 Dismissing fears that this move was a return to capitalism, he argued that the Party had to accept this resolution if the revolution was to survive since the expected proletarian revolutions in the West, especially in Germany, had collapsed. The requisition of grain and seed during War Communism (1918-1920) by the state during the Civil War might have been necessary, but peasant intransigence meant that little that was grown reached the towns. A combination of state regulations and the exigencies of war had asphyxiated industrial production and shattered the economy resulting in a work force of less than one half and production output at one fifth of the 1913 level. What Lenin did not say was that the War Communism had forced peasants to retreat into subsistence farming growing enough only to feed themselves. In the past they had stored surpluses as insurance against adverse weather conditions, but currently refrained to because they believed the Bolsheviks would confiscate any surplus. Now facing massive starvation and outraged by their loss of self-government through the local soviets, they rebelled. Lenin argued that only a change in economic policy could quell these revolts and provide the foundation of a future partnership. He understood that the peasantry had to be won over to the Revolution, gradually and through persuasion, that compromises would have to be made if they were to be transformed into workers. 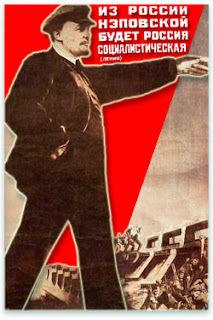 Despite strong opposition from within his own Party, he convinced the delegates to adopt the NEP (New Economic Policy) in 1921 that would allow the peasants freedom to sell their extra produce on the open market. The new policy of allowing small-scale farming to be the locomotive of economic recovery might have been a bitter concession to the market and a postponement of socialism. But the country needed breathing space to stabilize itself. Rather than a minor tactical retreat, Lenin appeared to be reverting to a more orthodox Marxism. By stating that socialism could not be accomplished until the bourgeois revolution was complete, he was asserting that communism regrettably could only be built with bourgeois hands, namely the demands of the market. In the last year of his life, he wrote that the NEP would be needed for at least a decade, if not two in order to win the peasantry over to socialism. As the most powerful of Sorokin’s Goya-like Cronus figures, Lenin never troubled himself with the human costs of his experiment because he believed that whatever ends could best serve the revolution justified any means. In the midst of massive human misery, he was more preoccupied with the collection of taxes and with stopping the “indiscriminate, unfounded accusations against food workers” who brazenly and violently extorted from the peasants. The Politburo requisitioned valuables from the middle class and robbing the churches of its treasures that accumulated to an estimated at 2.5 billion gold roubles ostensibly to purchase grain from abroad. In reality, a tiny fraction was spent on grain seeds while vast sums were available to finance revolution throughout the world, beautify the grave of Karl Marx and purchase two six floor buildings in London. Moreover, at the instigation of one of the Bolshevik leaders, Lev Kamenev, most of the bourgeois members of the voluntary relief organization that accepted Gorky’s invitation were themselves arrested and condemned to die by the Cheka. Outraged and humiliated by this move because his good will and word had been egregiously compromised, Gorky also knew he could be perceived as an agent provocateur. Completely disillusioned by the extortion, the intimidation, the arrests, and Lenin’s attitude toward the Americans, who were saving lives, Gorky knew that emigration was his only option. For the sake of his health, Lenin advised him that he should leave the country. Fortunately, the presence of Americans inspired a wave of international condemnation that spared the volunteers’ lives and allowed them either to emigrate or remain in the country. 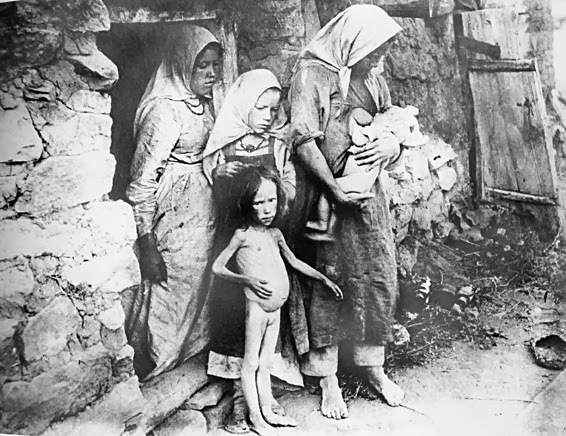 Nonetheless, despite the harassment, the Relief Administration fed in 1922 alone ten million people a day and dispatched a huge supply of medicine, clothes, tools and seeds thereby contributing to Russia’s economic recovery. The reluctant decision of the Party to adopt the NEP created undeniable economic gains and social benefits for both the economy and society. But those benefits were advantageous for some, a mixed blessing for others and for others, difficult lives became more desperate. Lenin had largely been motivated to win over the recalcitrant peasantry, while the latter perceived the NEP as an affirmation of their independence, an economic opportunity and a social threat to their culture. True, they made economic gains, along with the economy as a whole, and they were subjected to less state interference than at any point in their history, but the state did make forays into the countryside to take taxes, first in kind, and within a few years a monetary payment. In 1921-22, the Red Army was deployed for the purpose of forcing the peasants to increase the sown area. After taxes, they were free to consume the remainder, or to sell it to state agencies, cooperatives, or private traders for whatever price they could obtain. But this period also witnessed an assault on their culture. According to peasant complaints, Party officials robbed the youth of their morals and faith, which over the years was to pit one generation against the next.